See those turned in tootsies? We are saying goodbye to them tomorrow and will have some straight good-for-walkin’, good-for-runnin’ and good-for-dancin’ feet soon! Rhema is no longer “brace-able” so they will also address her right foot’s tendons as well during this surgery. 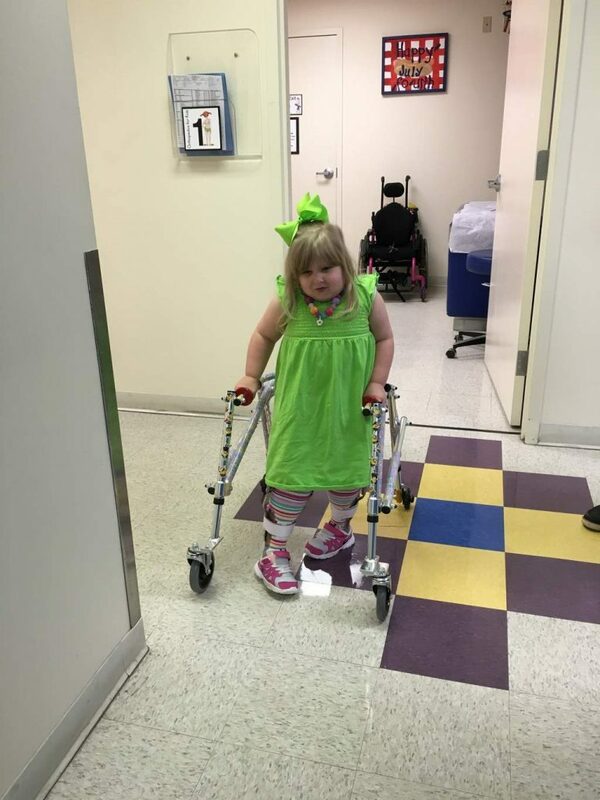 Many have asked what it is specifically; it’s called a “bilateral (both legs) de-rotational (turning the feet to correct position) osteotomy (through the bones) of her Tib/Fib (tibia and fibula bones.) In layman’s terms, they are breaking her legs and resetting her bones. Not fun, right? Yes, we know but without it she is unable to even wear braces at this point much less be able to walk like she wants to…and run like she wants to… and dance like she wants to. Rhema talks all the time about doing “able-bodied” things and so we are excited to think that after this surgery, those may be in reach for her once she gets healed up and weight bearing again. So, tomorrow we will once again be watching our little Rhema wheeled away down the long hallway away from us headed to her 7th surgery. If you are a mamma who has a child with physical challenges that requires surgery you know the “hallway” I’m referring to…. its the one where you are allowed to only go so far with your child and then there is a line…. at that line you have to stop and she continues away from you through double doors and into the OR. I hate that hallway. I hate that line. I hate those double doors. But I LOVE, however, the nurses, anesthetist, doctors and surgeons who will be caring for her. I always hug each of them and tell them we appreciate them. Then starts the seconds feel like hours, and the minutes like days and the 15 minute increments like years. And if it goes past an hour, it feels like 100 years. I pass the time listening to worship music and in prayer…. reminding myself to breath, in-and-out, and again, in-and-out…. yes breathing is challenging during this eternity-of-waiting. One positive is I’m looking forward to listening to the New Bethel album during this time…. letting it wash over me and remind me of the equal-force of PEACE that dwells on the inside of me that pushes against the anxiety that tries to envelop me. Peace always wins; I rest in knowing that. Peace. Always. Wins. We covet your prayer tomorrow for Rhema. She knows about the surgery and is at peace. If you’ve not prayed with us before (we got some new folks with us since last surgery) then here is some things you can pray: Pray for the environment- 100% sterile space and procedures. Pray for the medical folks- We pray for them the night before that they rest well and are focused when arriving. We pray for them to be at there BEST while working with Rhema ie. happy, compassionate nurses, skilled hands (lead by the Lord) of the tecs, physicians and surgeon. Pray for good staffing with our nursing care during our hospital stay. Pray for SUPERNATURAL PEACE to envelop Rhema and stand with us that she will sense that throughout….. These are just a few of the things we pray for before, during and after. Rhema has a vast army of folks who pray for her and you guys know exactly just how much she is LOVED by JESUS because you are loved the same by Him….. you guys know how to pray. How to stand. How to bring Heaven’s reality to earth. 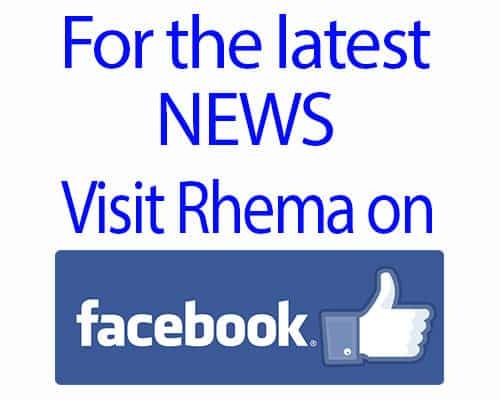 We thank you, in advance, for joining with us today and tomorrow and this next entire week for our Rhema. Rhema’s surgery begins at 8am Monday morning. We will be posting throughout the day with updates.